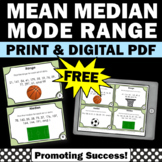 This is a freebie from my Mean, Median, Mode, and Range Pack. 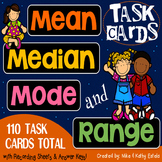 These are fun, colorful flashcards that your students can use to help them learn math vocabulary. 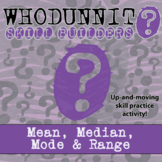 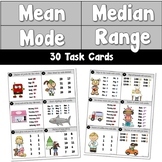 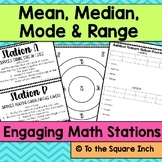 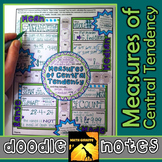 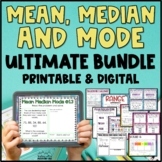 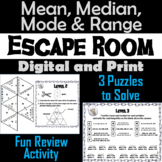 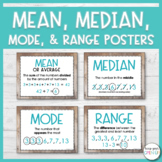 Mean, Median, Mode, Range Task Cards for teaching Mean Median and Mode Skills! 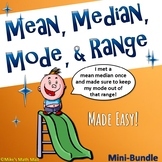 Ready to review the basics of Mean, Median, Mode and Range? 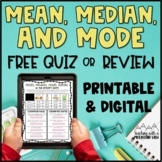 This flippable has all that you need for your students to have a resource for the definition, a keyword to help remember, as well as a graph to compile data from the class and determine the Mean, Median, Mode and Range for your class data! 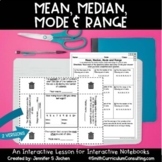 You can use this foldable to introduce mean, median, mode and range. 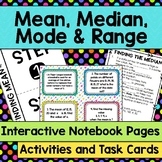 Students can easily paste it into their notebooks or file it away in a math folder! 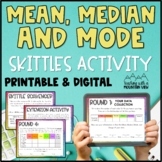 Convert fractions to percents to decimals in a fun way by having students use one of their favorite items- candy! 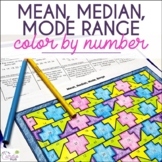 I usually count out 20 pieces of candy in random colors so that they can easily convert the fractions to percents, or you could use anything that is a factor of 100 for easy conversion. 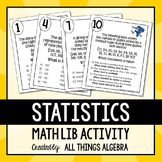 *36 playing cards. 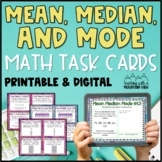 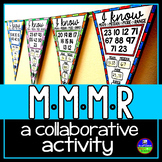 *Student Recording Sheets *An Answer Key for all 36 cards. 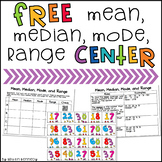 *Character game pieces *Mean, Median, Mode, and Range game board.